The phase vocoder is a tool used to perform time-stretching and pitch-shifting on recorded sounds. 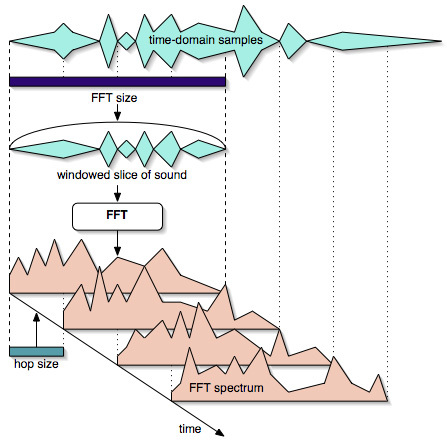 Its name derives from the early "vocoders" (contraction from "voice encoders"), which used a set of bandpass filters in parallel over many frequency bands, to crudely analyze and reconstruct speech. 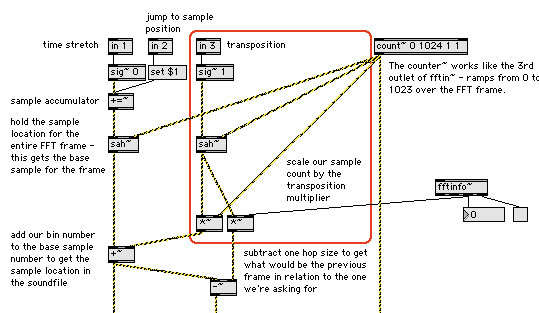 In this article, Richard Dudas and Cort Lippe explain the workings of a phase-vocoder as well as how to construct and modify one in Max/MSP. In our last article about the phase vocoder we saw how to create a basic phase vocoder for time-stretching. While it is by no means a simple MSP patch, it is a useful one. In addition to time-stretching, the phase vocoder has been used for transposition and "freeze" effects, which we will be discussing in this article.